No Pulitzer Prize for Fiction. . . I'm angry and confused. I've been trying to fathom why the Pulitzer Prize Board would have the audacity NOT to choose a Fiction winner this year. They said none of the three books selected by the jury received a majority and that's all they said. My first thoughts were that they were emulating Congress. Then like some others I wondered if they thought that the brilliant Train Dreams, a novella of just 128 pages, was too short but that couldn't be it as they set the rules and the rules don't specify length. I tried to guess if some of them might find Swamplandia, the winner of The National Book Award, too imaginative or if they didn't like the idea of The Pale King being compiled posthumously. No reason seems acceptable for the Board to ignore the fine recommendations of a highly regarded jury. Those jurors, Maureen Corrigan, Michael Cunningham, and Susan Larson also expressed shock and disappointment at the slight. To me this has been an exceptional year for fiction. Books like State of Wonder, Lost Memory of Skin, Once Upon a River, and The Buddha in the Attic would all have been worthy of the Prize. One outcome of this travesty has been that many others have decried this inaction and have provided lists of fine books that readers might choose despite the Pulitzer snub. Ann Patchett wrote a great op-ed piece on the subject. The Wall Street Journal asked several prominent and esteemed critics to list the books they would have chosen and they had very little trouble coming up with several. 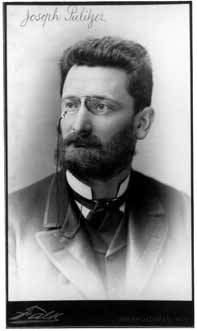 The Washington Post's Ron Charles then noted "but to not choose any book is just a snobby slap in the face for those of us who enjoyed so many fine novels last year." I've read the names of the members of the Pulitzer Prize Board and they're exceptional people I hold in high esteem but I wonder what happened to keep them from choosing a prize winner. What if one Friday evening, every wound began to shine? What if every broken bone, every bruise, every cancerous cell – yes every injury began to glow and shimmer? That’s what occurs in Brockmeier’s masterpiece of a speculative novel that tells the stories of those who are injured, hurting, and revealing their pain to the world. The very light that radiates from the wounds illuminates the characters, the writing and the novel into a shining original that will keep you captivated from the first page beginning with Carol Ann’s story as she cuts herself while opening a package and has to go to the emergency room. While in the hospital Carol Ann picks up a journal of love notes that passes through the hands of each of the five other major characters in the novel and ties them together. When Carol returns to work she notes: Everyone, everyone, everyone, and all the time. The world had changed in the wake of the Illumination. No one could disguise his pain anymore. You could hardly step out in public without noticing the white blaze of someone’s impacted heel showing through her slingbacks; and over there, hailing a taxi, a woman with shimmering pressure marks where her pants cut into her gut; and behind her, beneath the awning of the flower shop, a man lit all over in a glory of leukemia. At work, Carol Anne took to scouring the Internet for images of political and business leaders with the angry flush of renal disease, the barbed-wire knot of a blocked artery, or any of the hundreds of other telltale patterns of resplendence she had learned to recognize. She included these pictures in her news packets without comment. And if her hand flared in pain while she was delivering a hard copy to her boss, and if the silver light of a toothache shone from his mouth as he said thank you, the two of them might make a small motion of their heads in sympathy, but they would not say a word. It was important that the workplace remain professional. They all tried their best not to acknowledge one another’s suffering. Even when one of the receptionists came in with belt-strap bruises radiating through the front of her shirt, wincing each time she reached to open the filing cabinet, the rest of the staff avoided saying anything to her. They all tried their best not to acknowledge one another’s suffering. That line has refused to leave my mind despite my efforts to suppress it. Isn’t that what we do every day, rationalizing that it keeps us sane, that we have enough to handle? Don’t we spend our days trying not to see anyone else’s pain, suffering or misfortune? My facile ignoring or should I say ignorance of the suffering of others cannot remain as buried now that I’ve read The Illumination. Isn’t that what great books do to us? Don’t they force us to confront those places where we refuse to be human? 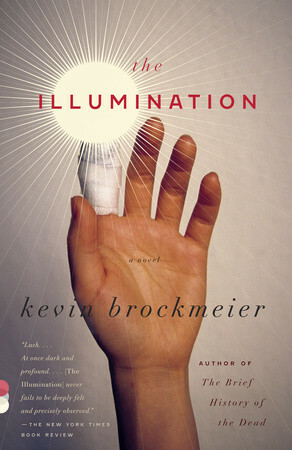 Kevin Brockmeier’s The Illumination challenges readers to see both self and the world in all its pain and glory. And those “bleeping” epigraphs at the beginning of each section – come on Mr. Brockmeier, don’t you understand that I have a life? Sometimes I had to meditate far beyond my ability to sit still to ponder them. And quoting Whittaker Chambers makes me wonder if you want me to think a tad too much: The reality cuts across our minds like a wound whose edges crave to heal, but cannot. Thus, one of the great sins, perhaps the great sin, is to say: It will heal; it has healed; there is no wound; there is something more important than this wound. There is nothing more important than this wound. Mr. Brockmeier, don’t you understand that if you want to sell more books you’re going to have to give me time to let this one go and let me pretend that all my wounds have healed and that my life is “just fine, thank you.” And you just had to use that epigraph at the beginning of the chapter on Jason Williford, the photojournalist, whose journal of love notes ties the entire book together and who attempts to leave his own wounds behind by inflicting new ones that while more visible – hurt less. I don’t read much fantasy. I love Margaret Atwood and Kazuo Ishiguro but my pedestrian mind seems to consider them exceptions. So I keep avoiding speculative fiction because so many books in the genre exhibit contrived plot-driven drivel. But Kevin Brockmeier’s The Illumination, a book I had to wait weeks to review as I was still absorbing its impact and trying to avoid what it might be telling me, is a book everyone, even those who don’t think they like speculative fiction should read. And, fear not, the writing is so good that the premise will seem absolutely reasonable to even the least imaginative reader. National Public Radio, The Seattle Times and The Kansas City Star named it a Best Book of the Year for 2011. Summing it Up: Read this for the fine character studies, the challenging premise and the brilliant writing. Convince your book club or a good friend to read it as well so you’ll have someone to talk with when it wakes you up in the night weeks after you’ve put it down. A Superfluous Man is a new review site that includes erudite reviews of the 100 books the blogger is reading in 2012. A Superfluous Man is an intellectual site that will challenge readers to explore the world of history, politics and culture. On days that the Superfluous Man doesn’t post a full book review he generally provides links to exceptionally beautiful music that fits the season. His Holy Week selections alone are worth visiting his site. If you’re looking for challenging reading, look no further than http://superfluous-man.com.